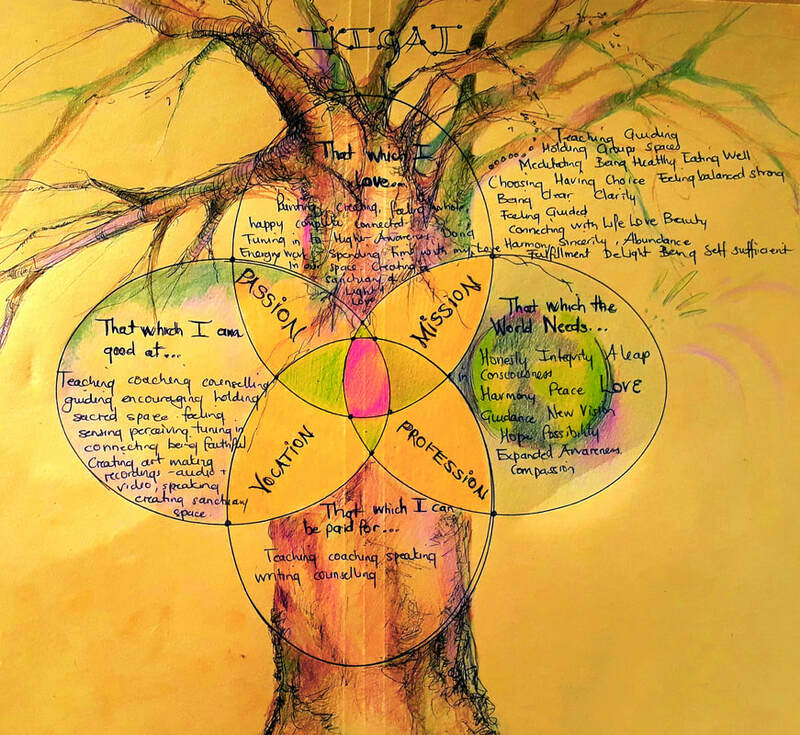 ​If you feel like you are at a cross-road and ready to step into something that is more in alignment with who you truly feel you are, then this mini workshop is for you. ​is a fun and mindful mini workshop embracing the concepts of IKIGAI to guide participants into a creative and expansive mindful process to help bring renewed excitement and anticipation into your thinking and planning. A wonderful way to sit with a group and learn how to unleash your creative spirit and fulfill your most sacred and magnificent life journey. 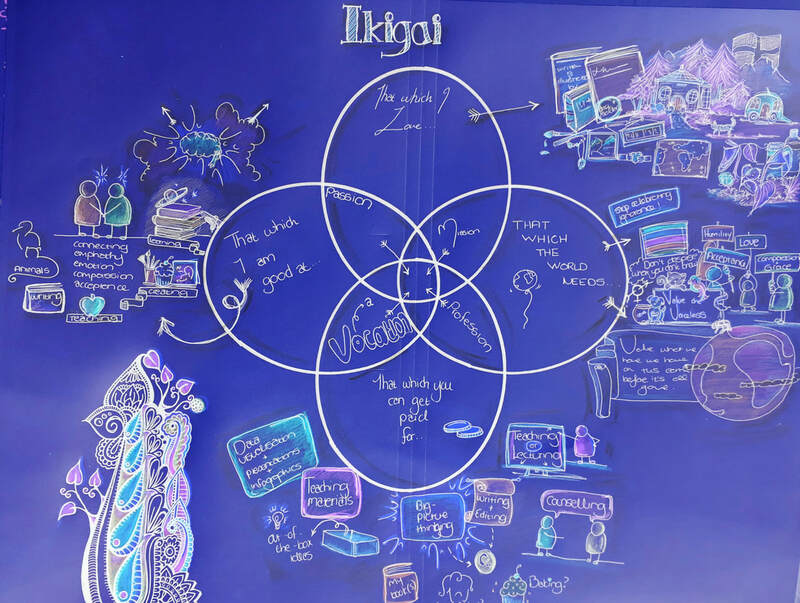 Ikigai is a Japanese word whose meaning translates roughly to a reason for being, encompassing joy, a sense of purpose and meaning and a feeling of well-being. The word derives from iki, meaning life and kai, meaning the realisation of hopes and expectations. 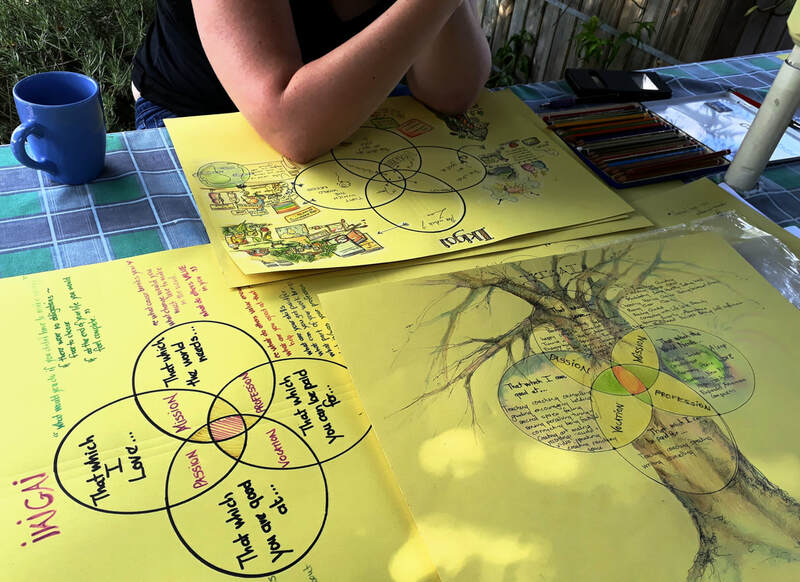 Call Joy 079 180 7639 to arrange your creative event with your group or join a group and learn how to open possibilities as you become aligned into your Truth. ​What a wonderful way of showing up in the world! ​This process is helpful in work opportunities, relationships and new ventures. Give yourself 3 hours away from your everyday life to reinvent and renew exciting life opportunities that are more in alignment with your dreams, hopes and desires. Bring pens, markers and crayons - I will supply the large sheet of paper to chart. You will get a link with a recording from the session PLUS two Guided Connection / Meditations to help keep you on track as you begin your new steps. 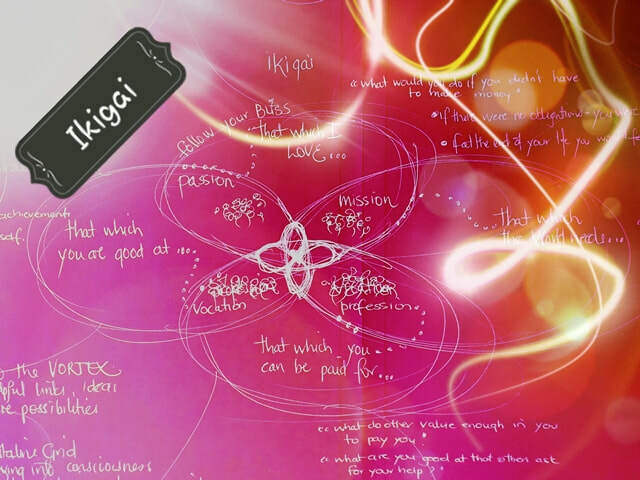 Thank you so much for the amazing Ikigai workshop. Your beautiful guidance helped me to set clear intentions for the new year. It was such a fun and inspiring way to spend the morning and I loved connecting with the other people in the group too. 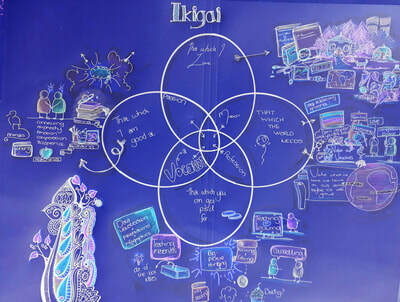 The Ikigai Workshop held by Joy Truscott was a fast track into assessing my strengths and talents.